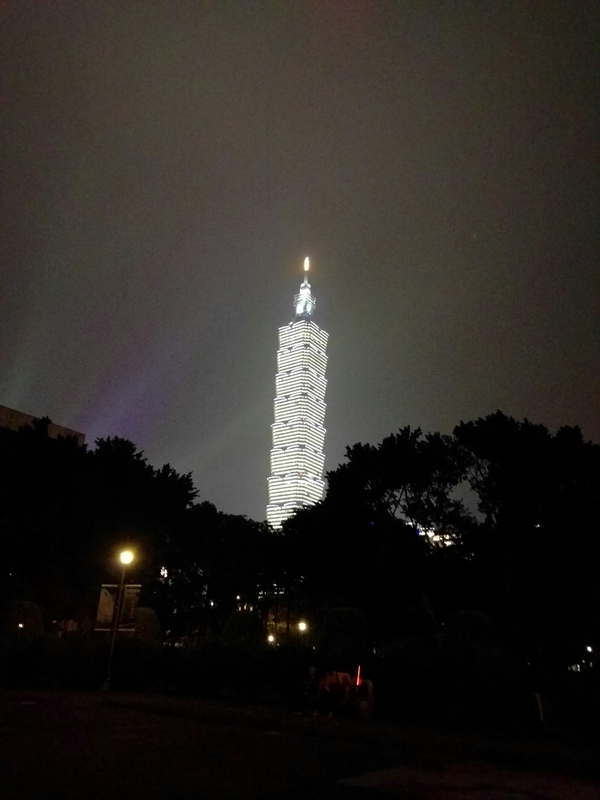 Happy New Year from Taiwan! 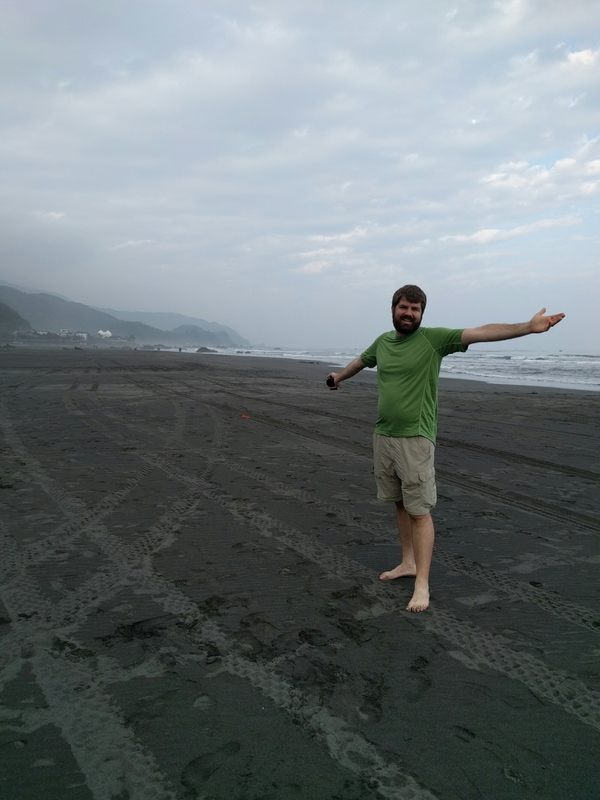 Rob and I just arrived in Wai’oa on Taiwan’s north east coast. 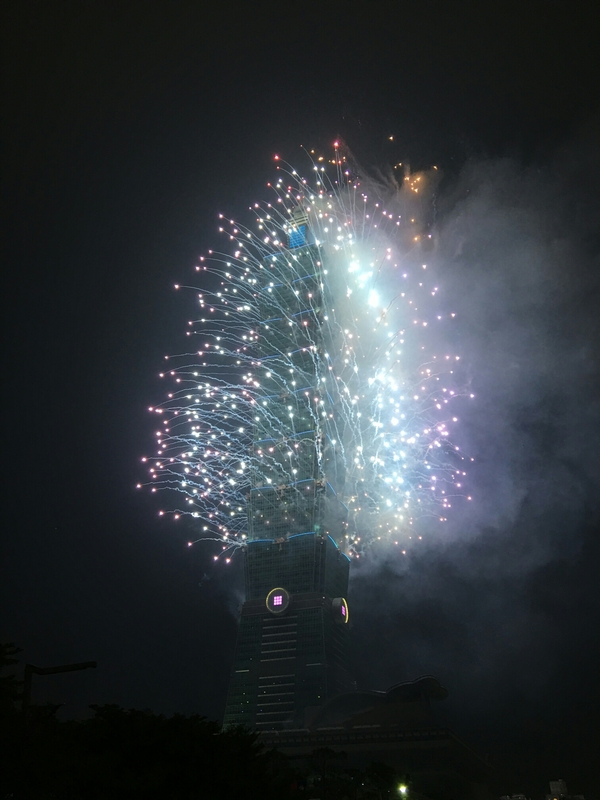 We spent New Years Eve watching the concert and fireworks by Taipei 101. The MRT train traffic getting back to our hotel surprisingly wasn’t that bad considering the large number of folks there. This morning, we got up and packed a small bag for our bike tour down the east coast. After 2 hours on a local train, we arrived in Wai’oa. We’re staying at the Rising Sun Surf Hostel tonight and we pick up our bikes from the Giant long-term rental program tomorrow in Luodong. It was nice to spend an afternoon wandering the beach and harbor area here. 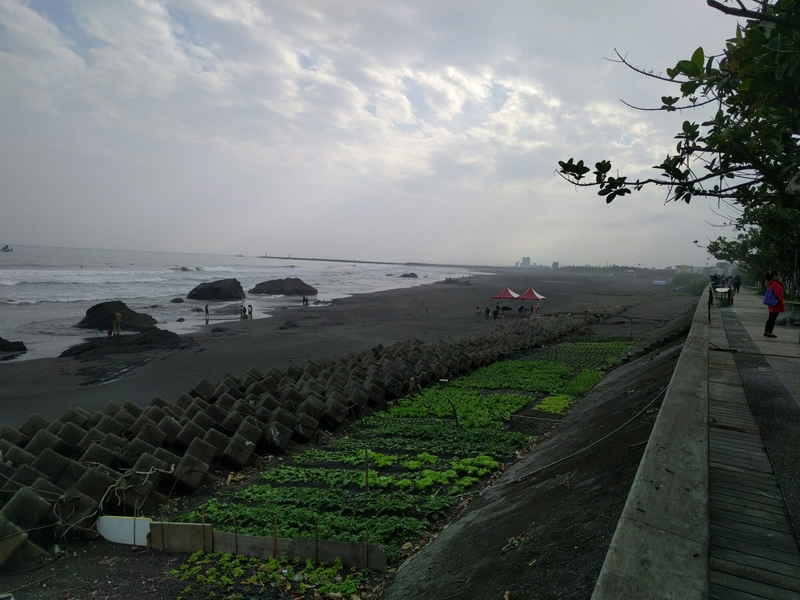 We found a neat looking museum, the Lanyang Museum, picked up a bike map and downed a green onion pancake/sausage snack. There are a bunch of Surf shops but we didn’t try today since it was already 3pm by the time we settled in. Maybe tomorrow morning. Rob on the beach near our hostel. 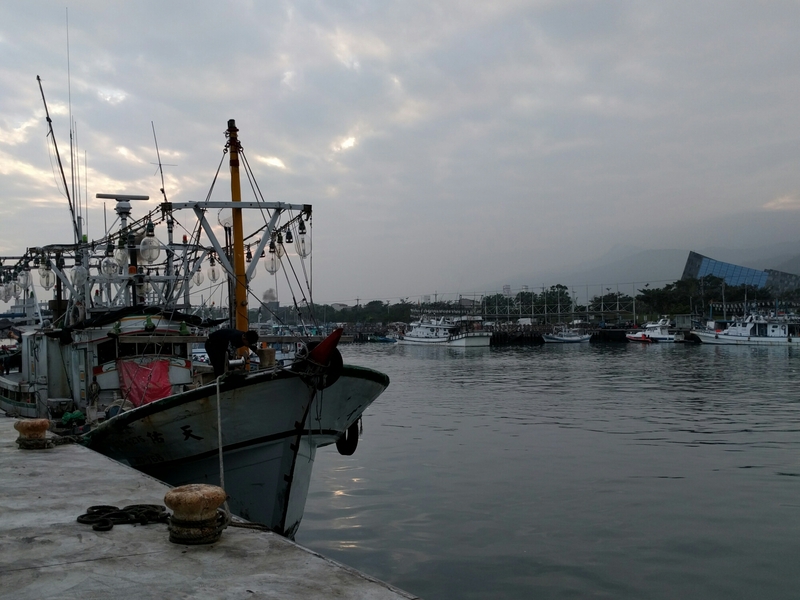 Squid boats in the Wulsing harbor. Apparently the lights are to attract the squid. 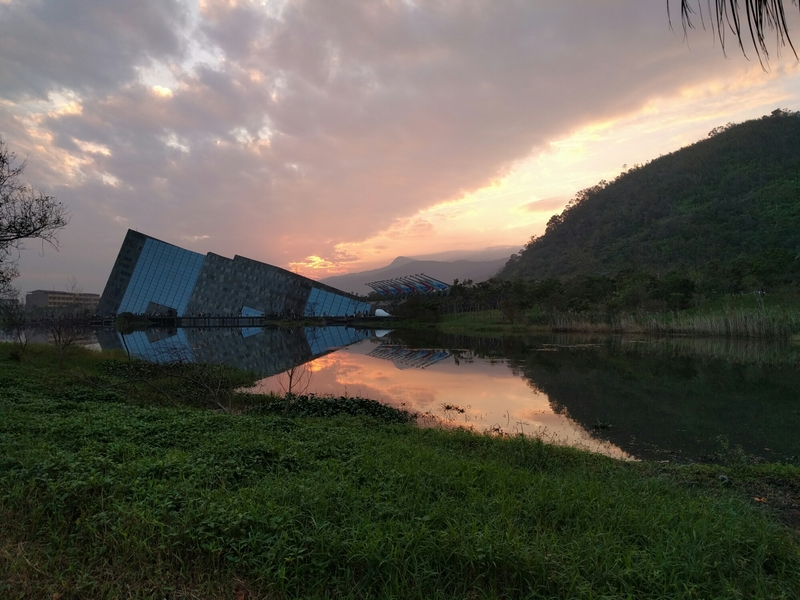 View of the Lanyang Museum. We finished the day with a hamburger dinner at the hostel for the first burger of the trip. 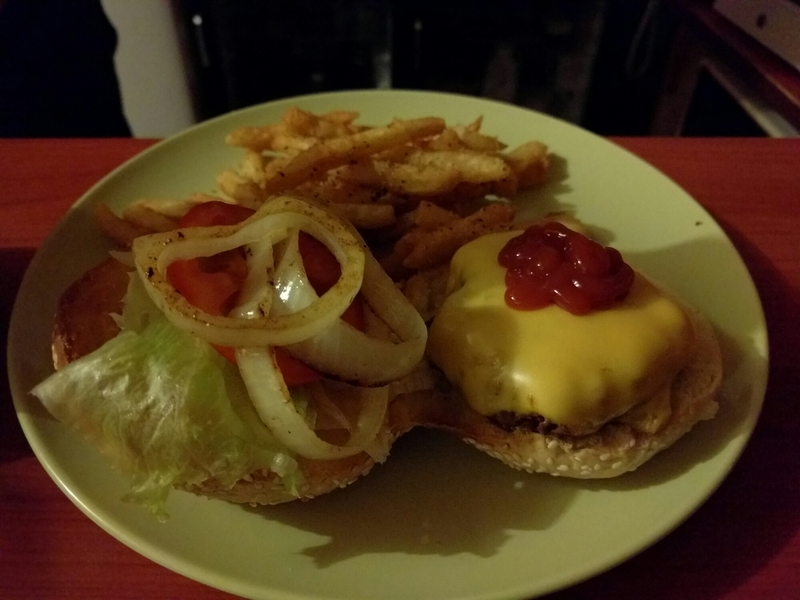 One of the hostel staff is from NJ and had made some home-made patties. There were a number of folks around and we had fun chatting with everyone.